The ADC Disposable Fiber Optic Miller Laryngoscope Set is an economical and convenient piece for the discerning physician. Blades and handle are manufactured from polycarbonate construction. 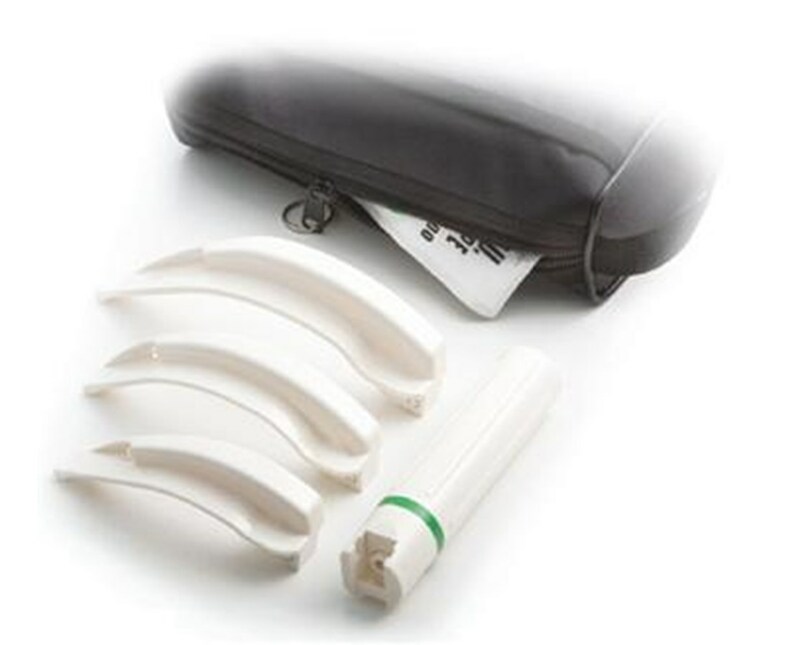 The disposable handle is ribbed for a positive and comfortable grip. The handle's LED light source provides brighter, whiter light. The blades feature fiber optic light transmission which provide cool, distal light with obstruction and reflection free viewing. The Disposable Miller Set includes ADC's disposable "C" cell size battery handle and lightweight disposable blades for maximum maneuverability. All ADC products are assembled, package and inspected in the USA. 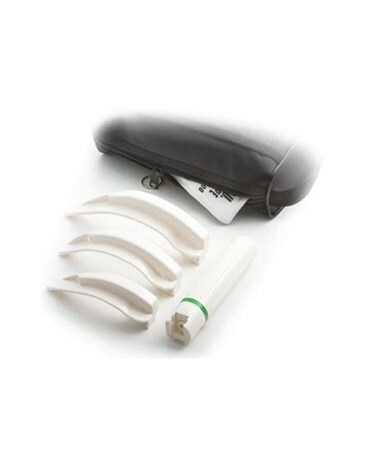 The Disposable Miller Fiber Optic Laryngoscope Set comes with a generous 1 year warranty. Blades made of polycarbonate construction. Fiber optic light transmission provides cool, obstruction free viewing. Handle's LED light source provides brighter, whiter light. Assembled, packaged, inspected in the USA.